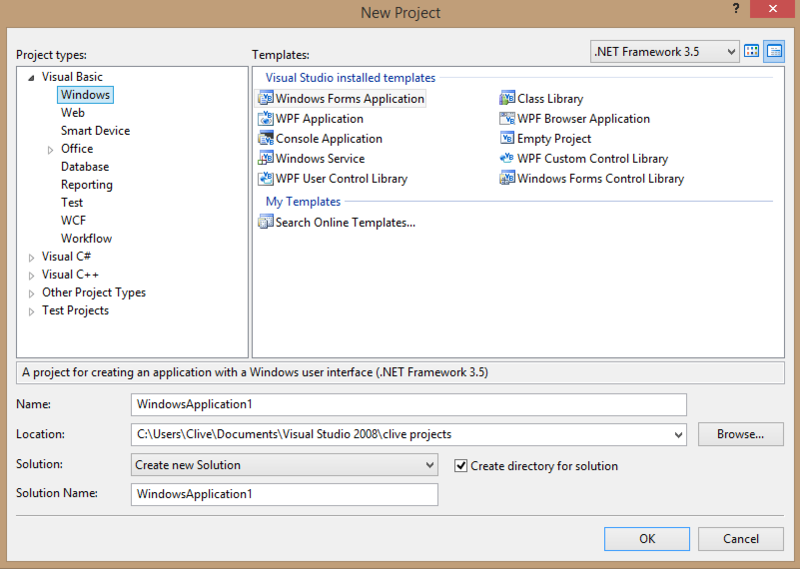 Generates dialog templates from VB forms. VBRC10.ZIP - Generates Dialog Templates from Visual Basic Forms. are (*.dlg) text files ready for RC resource compilation. of the current release, VBRC 1.0.
vbrc.hlpHypertext help file, in Windows help engine format. commdlg.dllWindows common dialog box DLL for < Win 3.1 users. test.exeTest executable. Displays a dialog box when run. test.rcUser edits this file to include a VBRC FORM. testmake.batRe-builds TEST.EXE based on your new *.dlg file. form1.dlgSample output from VBRC, gets compiled into TEST.EXE. form1.makSample VB project. Has one form to practice on. form1.exeSample VB executable, created from form1.mak.